An apple orchard in Quebec, Canada. 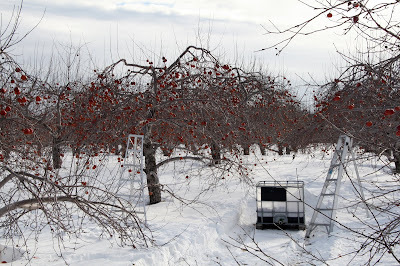 Photo by "Daniel Fafard (Dreamdan)"
Young apple trees have been inexplicably dying across the US and Canada. Story here.